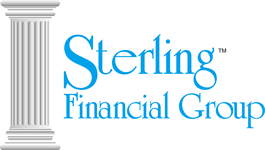 As Office Manager, Susan coordinates and manages all aspects of the Sterling Team. She is licensed to sell life and health insurance, is a certified paralegal and a NYS notary. She strives to provide customer service excellence for all clients; past, present and future. Susan is active in her community and volunteers for organizations such as PTA and Make a Wish. She resides in Baldwinsville, NY with her husband and three daughters.